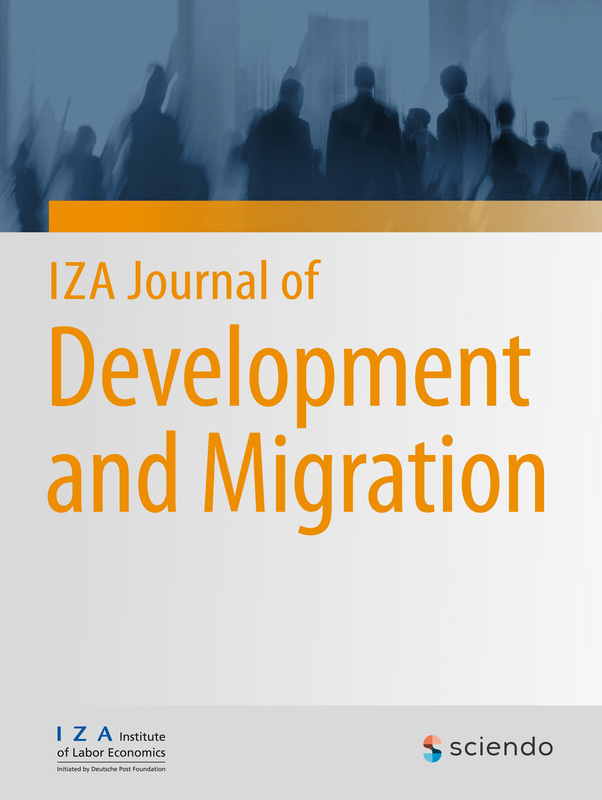 The IZA Journal of Development and Migration publishes scientific articles in the closely related fields of development and migration economics. Economic development and migration are closely linked together like the two sides of a coin. Understanding the drivers of emerging labor markets is essential for understanding the drivers of migration and vice versa. In particular, the IZA Journal of Development and Migration covers (i) all aspects of economic development related to issues of human behavior and/or the labor market of developing, emerging or transition countries, including both policy issues and more structural problems, and (ii) all issues related to the economics of migration and ethnicity in this context. The IZA Journal of Development and Migration is part of IZA’s mission of contributing to social and economic discourse, enabling political decision-making to be based on the best available scientific knowledge. We want to stimulate research to close knowledge gaps. Hence, the IZA Journal of Development and Migration particularly welcomes empirical and theoretical contributions that provide scientifically sound answers to open and relevant questions of development and migration policies.